So I have ADHD and this means I can never decide how I want to do things. 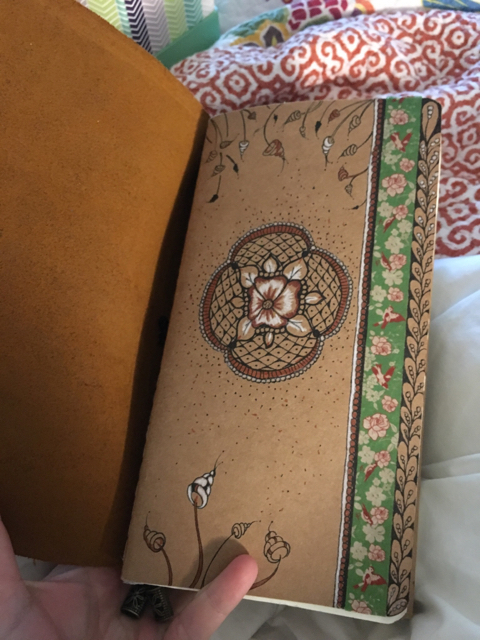 I get very excited about a notebook, but sixty pages in I realize I don’t want to take 200 pages of notes on Tarot cards in that book, or I don’t like the paper color, or now I want to paint meditations on goddesses… or heck, I just lose the notebook, or don’t want to carry three notebooks and a planner around with me, even though I often want to study/journal when not at home. 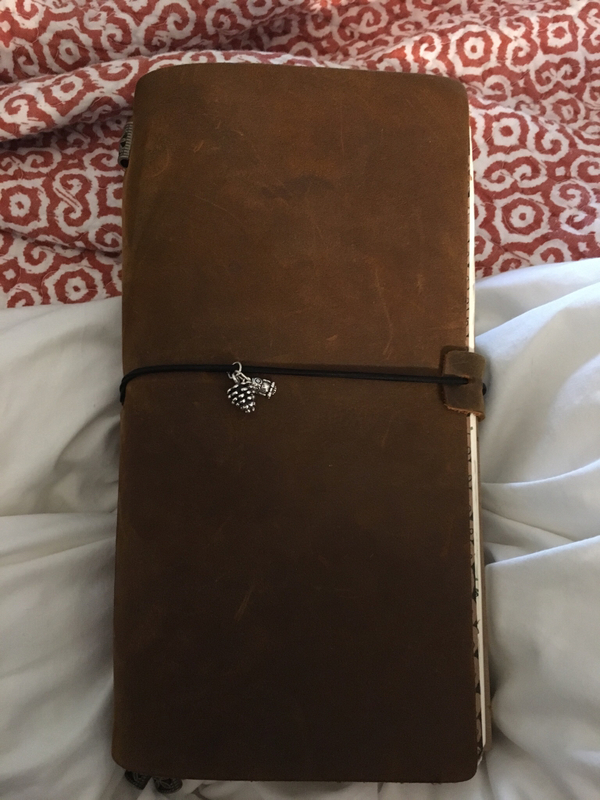 It’s called a traveler’s notebook, and it’s the indecisive person’s journalgasm. 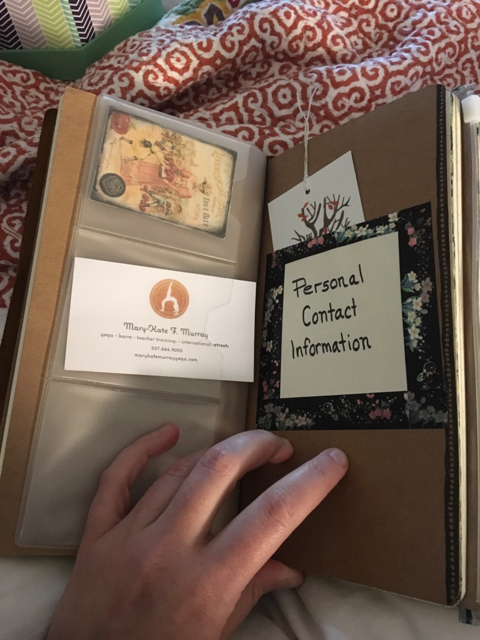 If you’re not familiar, basically, it’s a cover, and you can add from one to seven or more little notebooks inside, and it’s easy as hell to make your own notebooks. A lot of people use them as planners. 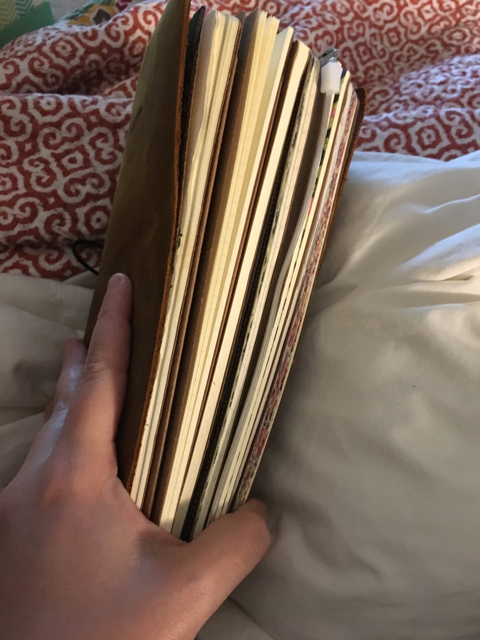 Mine is my planner, but it’s also where I’m going to keep Tarot notes, notes on spells, my goddess work and studies, nature sketches, meditations, other spiritual stuff, etc.